….apart from the fact that it’s very cold compared to Mexico City! It was a good flight, though 10-11 hours in the same little seat is a bit arduous, having said that it wasn’t quite as little as I was upgraded: on British Airways that doesn’t, sadly, mean to Business Class, as it does on many of the airlines I fly with. It means to World Traveller Plus – but, the seats are wider, the seats recline more (with leg support) and the gap between rows is bigger…. so it was fine! I’m grateful for small mercies when flying, so it’s a blessing. I’d be dishonest if I said I wasn’t totally knackered when I finally got home, so today was a ‘slow’ day, and though they’re better than they were, I think the gruelling nature of a whole day (almost) travelling has got to my poor old knees today. I’m sure they’ll be back to the ‘end of Mexico’ best tomorrow. Loads of mail to catch up with – just boring stuff – but it is nice to be home, though I could quite happily have stayed in Mexico for longer. Next up – Seaford, East Sussex: a lovely church that I was at just 3 months ago Seaford – 23,500 population, and Mexico City 37,000,000 – are just a wee bit different! Straight from Seaford, I go on Monday 10th to Sweden: spending a few days with more wonderful friends Stojan & Soila Gajicki, in the lovely home overlooking a beautiful lake. A ‘tough’ few days, having saunas, eating barbecued sausages IN the sauna, and drinking a beer or…..?! Looking forward to a weekend of ministry in Orebro, sort of in the middle-south of Sweden, with great friends Vello & Ingalill Vaim, and then a week of ministry primarily – I think – to asylum seekers and illegal immigrants seeking asylum, in the south west of Sweden, Boras, again with great friends Bjorn & Maria Isacsson. The picture alongside the post, of Alejandrina with me, will live in my memory for many, many years: it’s something very precious to hug and hold and talk to and laugh with someone who should have been dead 6 months ago…. so amazing, God, you’re just so awesomely amazing…. 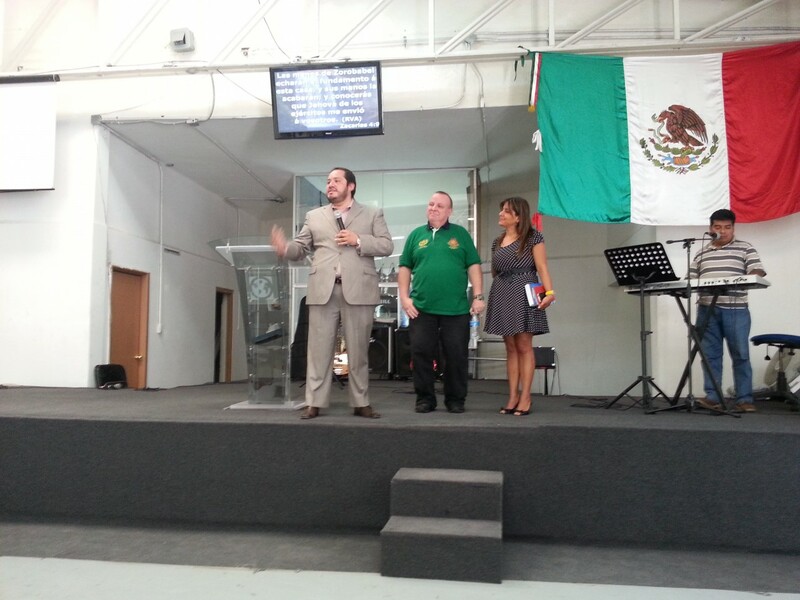 It was a tremendous day yesterday, though in respect of preaching I had the morning off in Beny and Paty’s church! – but that didn’t stop a good number of people c0ming up to me afterwards and asking for prayer! Others came up to me privately after the meeting just to hug me for what God did last Sunday – a bit of a privilege getting hugged for something you haven’t done! Last night, I spoke in Danny & Paty Ortiz’s church, and it was ‘interesting’ how much of the healing at that meeting was emotional rather than physical. Fiorella once again wrote down all the names for me – and then disappeared off back to Cuernavaca at 5.30 am without giving them to me! One lady, whose policeman son is in jail on ‘trumped up’ kidnap charges, was absolutely desperate. The transformation in her face, which had been full of fear, pain, and hurt, was incredible. There was a young guy, Giovanni, 19, who had been shot in 2012, and hospitalised for much of 2013: paralysed totally from the waist down as the bullet had passed through his lung and wrecked his spine, wheelchair-bound. His mum was there, too: both ‘Christians in waiting’ (!). Had a lovely time chatting to Giovanni, and asked him if he’d forgiven the shooter…. no, he hadn’t, he’d been far more concerned with revenge. I didn’t push the issue, but ‘suggested’ (quite strongly, maybe!) that he visualise the guy – though he’d been fully face-masked – and spoke out ‘ Lord, I forgive him’ – a pretty tough assignment, I knew that, but – he did it. I prayed for him, asking God to bless him, and begin to restore the very wasted-away lower part of his body. and give him feeling back. Wow… he did! Not only feeling, in his right knee and foot, but movement that was not involuntary, and as our chat/prayer went on, he felt more and more sensation in his legs… I also suggested to him that God was on his case, and wanted to not only transform his body, but his life. Mum was weeping, I think we all were…. he didn’t make any commitment last night, but took a Bible away and promised to read Mark’s gospel, and I told him that I felt he’d wake this morning with more feeling than last night, and with muscle, flesh, and tissue beginning to return. His pastor, Danny, is with me in Cali in 6 weeks, and Giovanni and mum said they’d go to their church each Wednesday and Sunday… so I’ll see what news Danny has then! I didn’t finish praying for people until 11.30 pm, though I’d finished speaking at about 9.15 pm, so a trip to the best taco restaurant in that area was very welcome. Gorgeous chilli pineapple salsa!! Veeery late night home though, but well worth it! 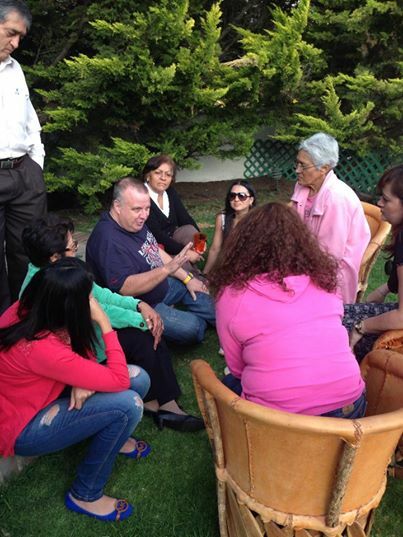 Six months ago, I sat around a dining room table with my dear friends Beny & Paty Osorio, in a house in the Mexico City northern suburb ‘city’ Ecaptapec, with a lovely family, sharing the table with a spirit of death, a spirit of fear, and utter hopelessness and despair. 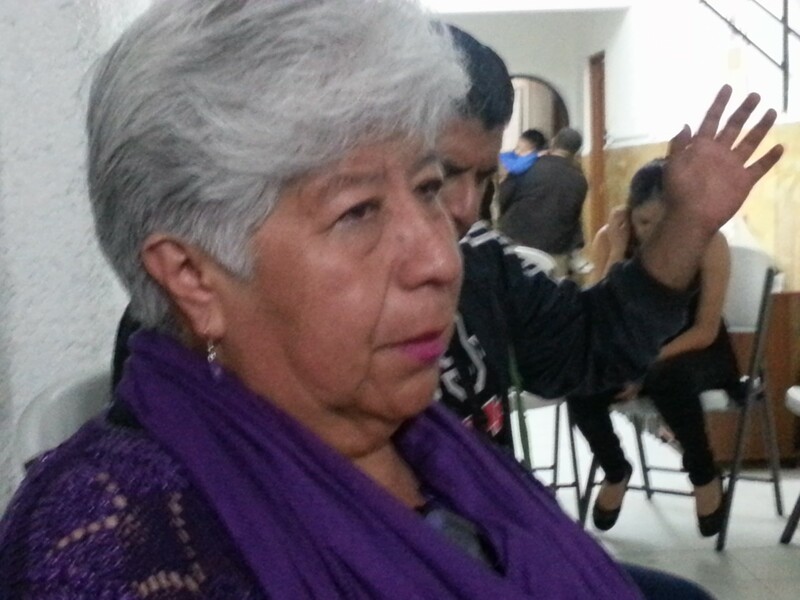 One of the family, Alejandrina, whom I was sitting next to, had – according to one her relatives, Adrianna, just a few days to live, sent home by the hospital to die: there was no more they could do for the cancer in her kidneys, liver, lungs, and oesaphagus, secondaries and ‘hot-spots’ elsewhere. Alejandrina herself a terrible colour – you could only describe it as green – her face pained and full fear. 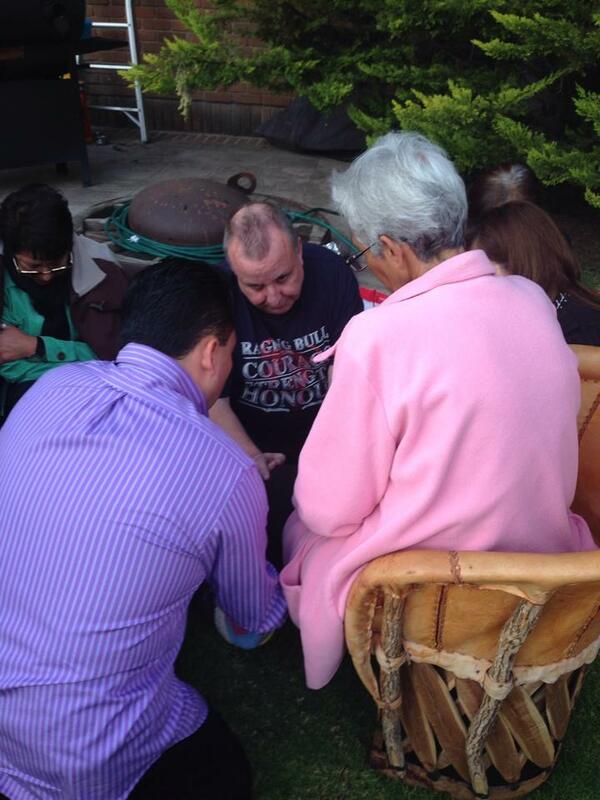 Most around the table were crying, their ONLY belief – then – was of losing this clearly much-loved family member. And then, when it got too cold (for the Mexicans! – well, it had been 29/30C in the afternoon, and now it had dropped to 16C, and out came the coats and blankets! ), sitting around a table – a different one, obviously, with pretty much the same occupants as 6 months before – full from the barbecue (wonderful steaks!) – with virtually non-stop laughter for the best part of 2½ hours…. much of the conversation was far too fast for me to keep up with, and some of it ‘local’ language. What I picked up I laughed with: but my joy was just watching Alejandrina, laughing loud and often sharing things that caused raucous laughter…. Alejandrina is 59 next week, so she’d have only been 58 when she should have died. My technical skills failed with the video, but I have got photos. She told us — I’d forgotten this bit – that I’d told her she’d feel much better the next morning, and she was healed: she did, and she was. The doctors finally admitted defeat that the cancer had gone (from their point of view! ), and she is now free to live her life for the next 40 years, love and be loved by her family, and with a testimony second to none. Snatched by a loving and miracle working God from the jaws of death and the grip of Satan. Yvonne, one of the family, had also fallen recently, and completely broken her knee-cap (knees again!!). She showed us the scaring, healing seemed to be ultra-slow, walking was difiicult, and sleeping (I know this with dodgy knees) was nigh-on impossible. She couldn’t flex her leg, as the scar ran right down her knee-cap, top to bottom. Within minutes, she was flexing it in a way she’d not been able to do for 3 months. Her daughter, Jessica (Yessica), 16, a lovely, lovely young lady, was so angry with God because a year ago, her much loved sister Erica had died with a major kidney disorder. Jessica also has that. Talked to her, Danny Ortiz had a word from God for her, she let go of the anger, and her whole persona changed. Only tests, of course, will prove that the disorder no longer afflicts her, but I do believe that when she’s x-rayed/scanned, she’ll have brand new kidneys. 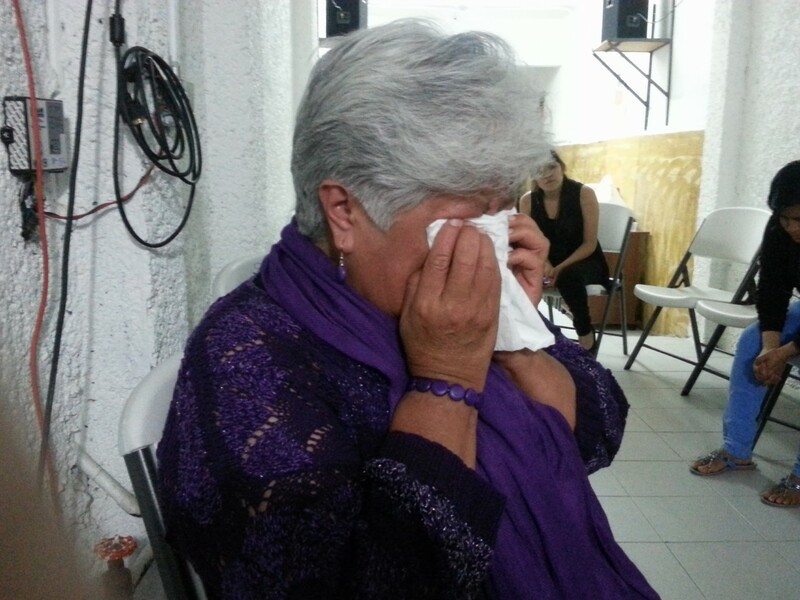 Prayed with that whole family – dad Hernandez included – and the peace of God invaded them all. It was beautiful to watch. Those are words written by my great mate, Paul Silvester, about a young lady whom, a year before, had been given a few hours to live, with leuchaemia and lymphoma. Paul wrote that 12 years ago: and it changed his life. Something happens deep inside of you when you spend time with people who SHOULD have been dead – even more, like China 27 years or more ago, when I shook hands with, and greeted, two ladies who HAD been dead, one 4 days, one 7 days – it’s a humbling, mend-bending experience. You can never be the same again. If I could have taken photos of Johana when I went to the hospital to pray for her, with a friend, you would never have believe she could survive. A skeleton with skin, somehow still breathing, and a ‘look’ of fear and death on her face that will stay with me forever. 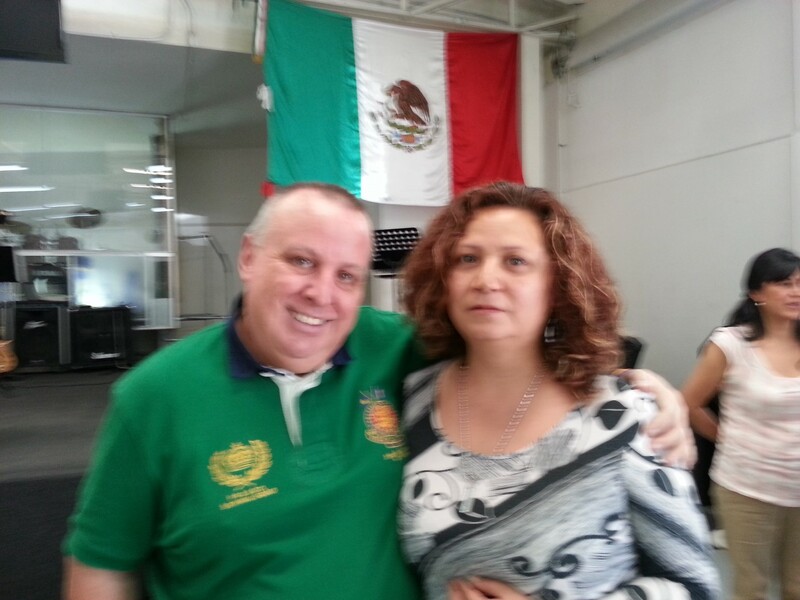 This afternoon and maybe into early evening, I’m spending it with a lovely lady Alejandrina, and her family. It’s to celebrate her total healing 6 months ago, when she;d been sent home from hospital to die. The doctors in the hospital could do no more for her, cancer pretty much everywhere, and her GP, my friend in the house I’m staying in, and who has given me such wonderful care this fortnight, asked if I’d go to her home (Ecatapec, about 2 hours north of Mexico City), to pray for her. She’d got a couple of days to live. Alejandrina, too, had that ‘death’ look about her: sitting with her, gathered around the dining table with her husband, daughters, sons, son in laws, I confess that I know I can’t heal a cold in my own strength, and the first thing I prayed was for me – that God would remove the weight of expectation on ME from her family – a weight I wholly and utterly understand, when YOU are their last hope…. I won’t put this lady’s name, as, though I’ve asked if I can, she hasn’t responded yet, and I only got it this morning Mexico City time, which is about 16 hours different to the east coast of Oz! Had the joy of praying for this lady 6 months ago: then, she had been suffering from a muscle condition where they constantly tore, and a horrible skin condition called rosacea, and the degree she sufered it to meant that doctors had said it was incurable. Life has held some enormous challenges for me since we met in Doreen, Victoria, Australia. Please forgive me for the late testimony. Since you prayed for me I have not torn one muscle and strength has been gradually returning to my body. The third stage of rosacea has almost completely disappeared and rosacea is supposed to be incurable. Paul, I just want to say what a privilege it was to meet you and it was such a delight to pray with you and the others. Praying for the sick and believing for miracles has been a part of my ministry for most of my life. I thank God for you and the glorious gifts; of faith, healings, miracles and raising the dead and that you operate in. Thank you, Lord! You’re so amazing…..
Mostly, here in Mexico City, taxi drivers are nice – though they are prone to change the meter to a higher rate when a gringo gets in the cab! They love it when a gringo tries hard to speak Spanish, and there’s pretty nearly always football (soccer) in common, and I love the conversations. I got in a cab today, though, and within seconds of completing the ‘formalities’ – ‘buenos dias’, ‘como estas?’ (How are you?’ and your required destination, the taxi driver, who looked remarkably like Groucho Marx, instantly started to tell me that his father had been shot….and his brother… and his son: not your usual sort of cab conversation, you’ll probably agree. Fortunately, it wasn’t a long trip, and I did my best with my Spanish, but conversational vocabulary about murder, suicide, and death doesn’t come very high in my own personal vocab range yet! I did feel very sorry for the man, though, and gave him double the fare as a tip, told him I’ll pray for him, and wished him ‘Dios te Bendiga’, God bless you…. It’s probably not surprising you get an occasional grump cab driver, as the traffic in this mega-city is like nowhere else I’ve ever been, and the driving is frequently ‘interesting’! This beats London, New York, Shanghai, Kuala Lumpur, and other big cities hands down, though I have to say I’ve not yet been to Tokyo. I love it: it’s sometimes a thrill a minute, like India, with cars weaving in and out of non-existent gaps, yet you see very few accidents. Trouble is, even when I’m a passenger, and not driving, I tend to drive like I would here, or Cali, when I get back to the UK….. 🙁 Lots of hooters honking…. I had a feeling when I wrote the last blog post that today was going to be something special. It most certainly was. 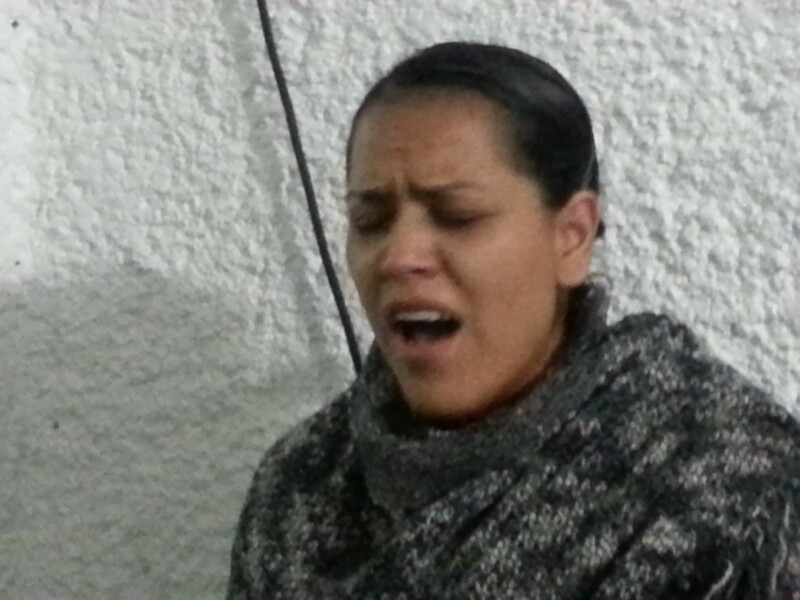 Along with the privilege of preaching in Beny & Paty Osorio’s church, Mundo de Fe, Barak, it was great to have at the meeting a lovely friend whom I met in Lisieux, France, 18 months ago, Fiorella Ramirez, now back home in Cuernavaca, Mexico – and, more than both those things put together, seeing God touch virtually everyone who came up for prayer with an instant miracle…. I love this church: and it’s humbling to know that they love me. Beny & Paty’s friendship with me gets stronger and stronger, so it was especially a blessing to see God do his stuff again in the meeting…. Bless her, Fiorella wrote down the names and ‘problems’ of everyone who came for prayer, she’d obviously had a word of knowledge about my memory! Rodrigo, a young man who is a promising boxer, had to give up 3 months ago after pain in his left shoulder was diagnosed as a tumour, which sat under his collar bone, pushing it up and forward, and with a lot of pain. He had ben able to feel the tumour, and, as you can imagine, there was a lot of fear attached to it, especially for a young man of about 20. The tumour disappeared – he and we knew because his shoulder and collar bone were back in their right place, and the pain had gone. For a few moments he laughed, then burst into tears: it was very moving. Luz Maria, taller, and even! A lovely lady, rather older than Luz, had chronic – yeas, you’ve got it! – osteoarthritis in both knees…. extreme pain, needless to say (I know…) – it went, instantly, and she was up and walking back and fro across the front of the church. I rejoiced with her, and Fiorella, and quietly reminded God about other knees that need dealing with! A lady whose name escaped both Fiorella and me, had no cartilage in either knee (I whistled a ‘happy’ tune under my breath! – nor have I!) – God gave her new ones, the pain went, and off she went walking to and fro at the front of the church! America, a young lady with great pain in her lower back and hips, was healed instantly – you should have seen her smile! There was no one with a camera around at the time, sadly! Maria Barbara had bad ligament damage in her left arm and shoulder: again, needless to say, in a lot of pain, unable to lift anything, or trust using her left arm for very much at all. Prayer one, the pain went down by about 50%: prayer two, down by about 80%, prayer three gone… she went over and lifted, in her left arm, the floor standing fan – not light! – above her shoulder, with no pain. Some folk felt internal healing, or felt strange things going on inside, perhaps better to say: but they’re going to need tests to prove their healing. Alejandro had great fear from diagnosis/prognosis of more than double the ‘good’ level of triglycerides: his dad, also Alejandro, has been pre-diagnosed with prostate cancer. It was his forst ever time in church, you could see the fear go from his face, and the smile that said ‘it’s not going to happen!’. Oscar Uribe, long-time friend, had virtually no function in the left side of his brain, has been under ‘attack’ in a ‘Job sort of way’ for many months, dreadful problems with sleeping. His wife, Alejandra, had been given medication for a severe pain in her right leg, the side effects of which had made her celiac – allergic to all things gluten. I told her to go home and eat bread for the rest of the day! Fiorella and I also prayed by proxy for two of her family/friends needs: mum, Theresa (Tere) with bad colon problems, and friend Norma, just diagnosed with cancer of the womb. Again, time will tell…. The people from the church, though, all being well, I’ll see next Sunday, so some will have gone for tests, and others will know after a week of experience! Beny, speaking of our 18 year long (& counting) friendship, and blessing me with honour to his church. Beautiful…. 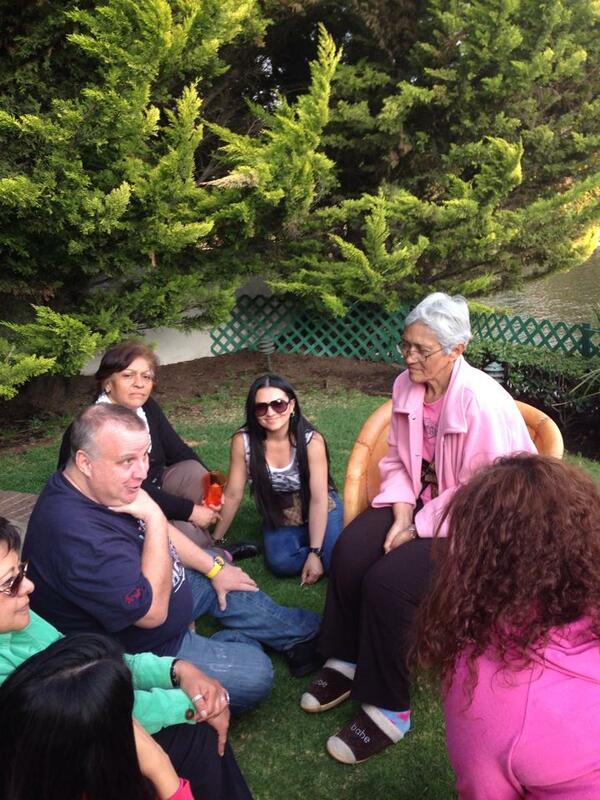 them close to his heart, and talked about his and Paty’s wedding, at which I spoke…. it’s amazing what honour does for you, and it’s a gift often missing in church life. As you’ll know from previous posts, I dearly love the family I stay with here, and who, many years ago, pioneered a church in a difficult area: hence the name of the church as it was then, ‘El Leon de la Tribu de Juda’… you probably don’t need me to translate that for you. 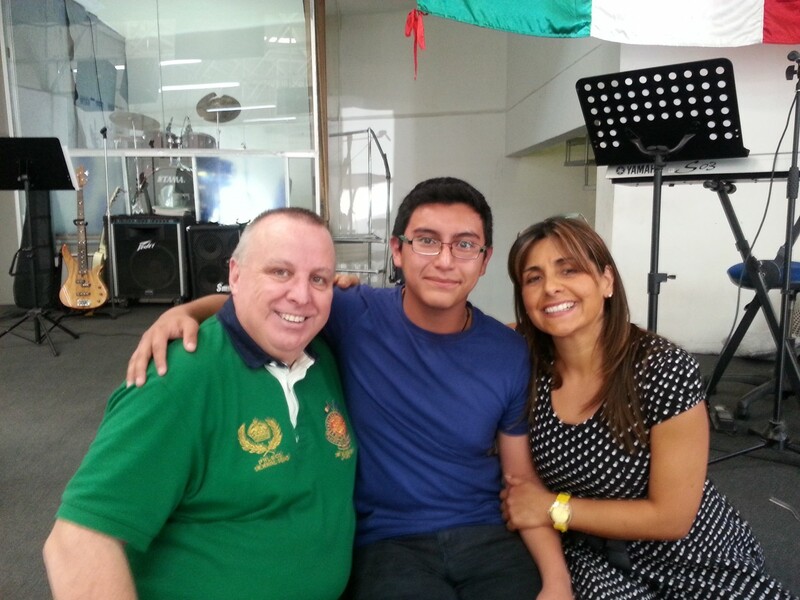 I really AM part of their family, and first preached in the church in 1996, maybe early ’97. Then, it was populated with many lovely people, among them homosexuals, transvestites, prostitutes, many others of extreme poverty. Enrique & Mimi Osorio, whose vision it was, loved those people just like Jesus loved them, and, of course, with love, acceptance, and no condemnation, people soon become the people God wants them to be. Enrique, who was 1 year and 3 days older than me (me, a mere youth! ), was one of my dearest friends, a Latino with a British sense of humour, one which his son, Benny, has inherited, so it’s unsurprising that I still love coming here, with Benny & his adorable wife Paty, and their three gorgeous kids, leading the church. Enrique, who was a doctor/consultant qualified in about 6 different areas of medicine, as well as being a GP – If I recall the sign above the days in those days, his special areas were cardiology, urology, gynaecology, pathology (I’m struggling now! )… tragically, Enrique went to be with the Jesus he loved and served too young, for us, anyway: 57, but in the hands of Benny & Paty, the church has carried on it’s same love that was its foundation, and, as they’ve grown, changed the name, moved districts – Barak – and are involved with many churches in this mammoth city. Benny’s been to Colombia with me, and, God willing, going again in April, this time with another dear friend who is also a little crazy, like me, like Enrique, Benny… Daniel Ortiz, ‘Danny’…. And, of course, the benefits… there’s some wonderful eating places here, not the least of which is the Rincon Argentino, where I suffered last night with, I think, the biggest ‘smallest on the menu’ steak I’ve ever eaten! Please note: I left most of the chips(! ), though the delightful Negra Modelo beer slid down a treat! 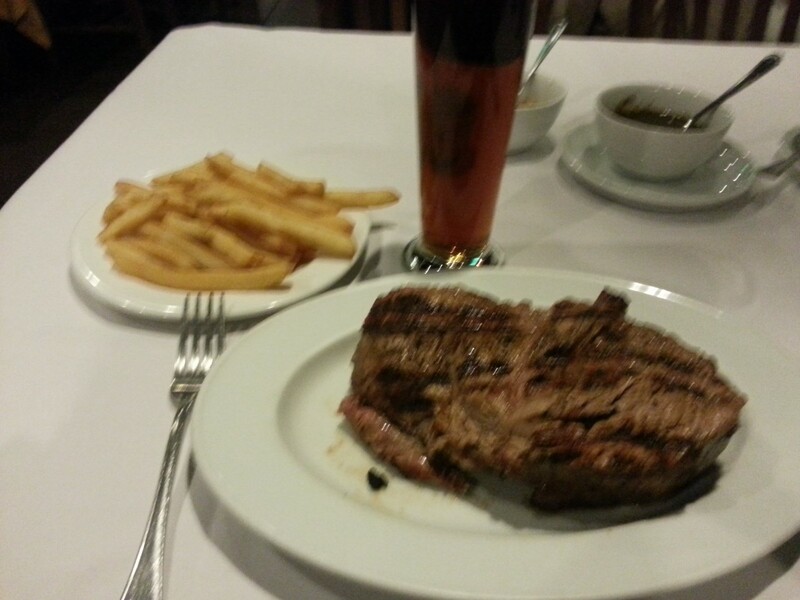 Just a small meal at the wonderful ‘Rincon Argentino@ in Polanco, Mexico City… honest, this is the smallest steak they do! Jesus’ words from Luke 4:23 – I guess (unless you’re Jesus, and I’m nowhere near!) praying for yourself – well, to me at least – must be one of the hardest and most unfruitful exercises in my life. I command pain in my body – knees only to be honest) – to go, dozens of time a day, with very little success. I’ve said before, many times I don’t doubt, that I have no problem at all praying for people with exactly what I might have wrong. Some doctors might be in the same position: successfully treating patients while not really doing the stuff for themselves. I’d be interested to hear your personal experiences of praying for your own healing, successes and not-so-successes! So to be here and have so much of my body under scrutiny from my doctor friend Joel Isaias (Jois) is such a blessing. Another lovely blessing occurred when he was organising the big scan I had done the other day on my knees. Normally, here, it costs 18,000 pesos (22 to the £ = 818), but Jois told them on the phone that I was part of his family, like an uncle, and the price came down to 3200 pesos (£145)! Of course there have been uncountable tests done on my blood, and today, I had ultrasound scans of my liver, kidneys, lungs, and chest (so I guess the hear comes in there somewhere, too!) – into the hospital at 10 am, out at 1040 am, and Jois will have the results at 1 pm! I had a bi-annual check up in the UK recently, a, Echocardigram… I was an hour in the parking queue(!) and, when the very nice lady had finished soaking my wonderful masculine picture-perfect chest and abdomen, she told me it’d be 6 weeks before it was worth contacting my doctor for the results… hmm! 6 weeks there, 2 hours 15 minutes here… but I still love the NHS, despite that! It’s wonderful to feel ‘physically cared for’ – thank you for that, Jois – what I know right now is that this little overweight aging body (though the weight should go down one the slug metabolism is resurrected!) seems as though it will be able to go on a long time yet…. I only need it for, maybe, another 40 years to keep me circumnavigating the globe. I’m so blessed. I hardly ever get colds (I can’t remember the last one), really have no memory at all of having the flu or similar bug, and, despite some of the unknown and bizarre things that pass as food in some countries that enter my mouth, to my memory it’s about 40 years since I was last sick! I do thank God for that, even more when I’m down to a 28-30 inch waist (I’m not letting on what it is right now!)…. On the way to church this evening, my friend Alvaro, the pastor, told me that the church had been through a tough, hard, and sad time, and that they needed their faith lifting…. when I spoke, I shared that many who are ‘Kingdom’ people are under attack intensely right now, and that the enemy doesn’t need to make us ‘bad’ people, just discourage/hurt/ damage, cause us to look back at what was, and he’s won…. So I spoke from Ephesians 3:16-21, and really felt that God wanted to encourage them that what’s past isn’t in our present or future ‘itineraries’ (Romans 8:38), and I’d asked him especially to do some wonderful miracles and healings to bless them into the future. Sylvia, age unknown(! ), had damaged discs and vertebra which caused her immense pain in her pelvis and hips, and arthritic knees (yeah, I know!! ): she walked with a walking stick, and looked in pain, drawn and tense. God healed everything….. and she was up and walking incredibly steadily and fast without her stick…. Edith (pronounced ‘Edit’) had been diagnosed with lifelong kidney problems, and that she had Tuberculosis…. 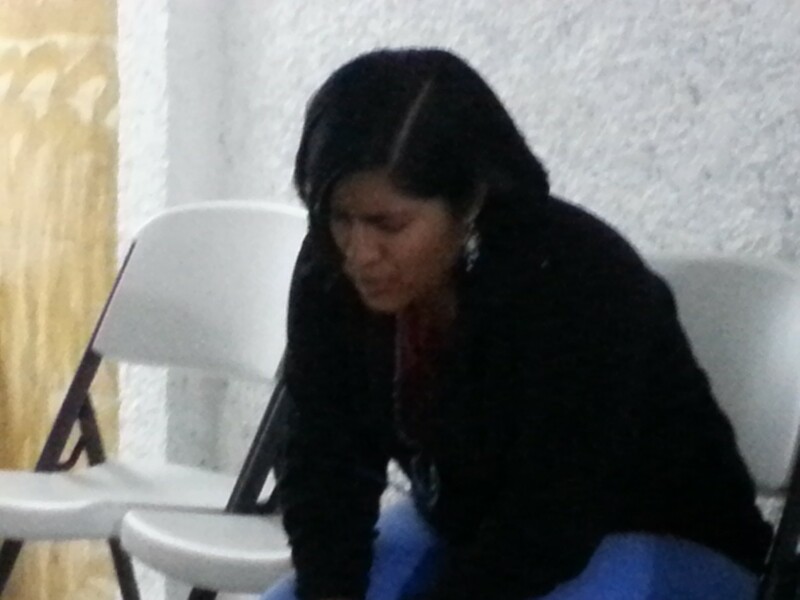 bless her, she’s a Doctor, but she was up rapidly for prayer…. I didn’t know she was a doctor until I’d told her that we can ‘suffer’ and live with the diseases of wrong diadgnoses and prognoses….! Cut her free from those, and the curse of TB, and her pain levels were markedly reduced – she was up for the loo at least 10 times a night, and I really felt to ‘prophesy’ that she wouldn’t be tonight, and that with the rest would come the remainder of her healing. Bereniece had quite bad myopia: couldn’t see anything at any distance. Instantly, after I’d asked her if she could see, she could – she could see her husband, sitting halfway back in the church, Alvaro Jr, the son of Alvaro and Vicky the Pastors….Alvaro and Bereneice have only been married 3 months, so a nice first Valentine’s day for them! Blanca had an accident some years back, in which she split her tibia in half at the lower end… that was healed, then she fell again… split it again, and then a third time, and the doctors have said she’ll ‘just have to live with it’….a lot of pain, and especially when it’s cold (don’t forget, that 18C is cold here!!). I got Edith as a Doctor to pray with me, and the pain went, Blanca and Edith both felt the bone move as God did his stuff… others will know in the morning, I’m convinced, of their healing tonight…. what a lovely way to go into the weekend! !